Pixia is Windows compatible free photo software. It offers brush tips, custom bitmap-based drawing tools, multiple layers, masking, vector- and, tone, lighting and color modifications, along with a number of undo options. Although as it a freeware editor, it does not provide support for GIF format saving. A very useful and free photo software is PhotoScape. It is one of the most favorite photo editors available online. It comes with a number of exciting features which are extremely easy to use. This free photo software has several components that include editor, screen capture tool, raw converter, viewer, batch processor, file rename, color picker, print layout tool and many more. Gimp is another successful free photo software available online. GNU Image Manipulation Program was first released in 1996 and has been in the process of upgrades since then. It provides tools to sharpen or blur an image, enhance contrast, adjust brightness, correct colors, red-eye removal and much more. One can create an animation and turn a photo into an oil painting. Phoxo has been making its presence felt in the market for more than a decade now and it has become a very powerful photo editing software. Anyone from kids to adults can use it with ease. For kids it has clipart, allow customizing images with cartoon animals. Professionals can use it to add a custom logo to an entire folder of images. Other can make use of the cool painting and drawing tools, adding image effects and transformations. LazPaint is free photo software that is compatible with both Windows and Linux. It is basically useful for starters in the world of photo editing. This is fairly easy to use but does not hold many strong features. LazPaint gives its users a very good user interface which can be understood easily and is similar to Paint.net. 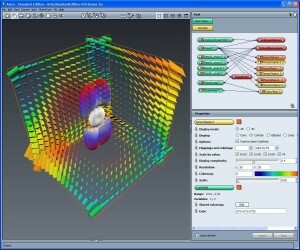 It also offers a texture mapping tool which is of great utility.